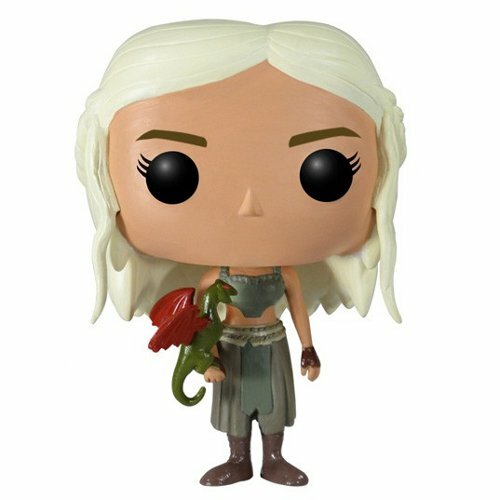 Are you interested in the Daenerys Targaryen (Game Of Thrones) Funko Pop figure ? Daenerys Targaryen is one of the main characters of Game Of Thrones, the TV show adaption of the famous heroic fantasy books by George Martin. Daenerys is the last surviving heiress of House Targaryen, a powerful family who used to be the masters of dragons. They ruled over Westeros for thousands of years until an alliance of the most powerful families of the continent decided to overthrow Aerys Targaryen, Daenerys' father, also called the mad king. Daenerys' mother was forced to flee with her young son Viserys but she died giving birth to Daenerys not long after. Since then, Viserys and Daenerys had been forced to live as exiled on the other side of the sea, surviving only by the generosity of rich merchants hoping to get something out of their famous family names. Viserys, obsessed by the idea of getting his throne back, sells his sister in marriage to a powerful Dothraki warlord in exchange for his army to conquer the throne. But as Daenerys and Khal Drogo end up falling in love, things do not turn the way Viserys expected. 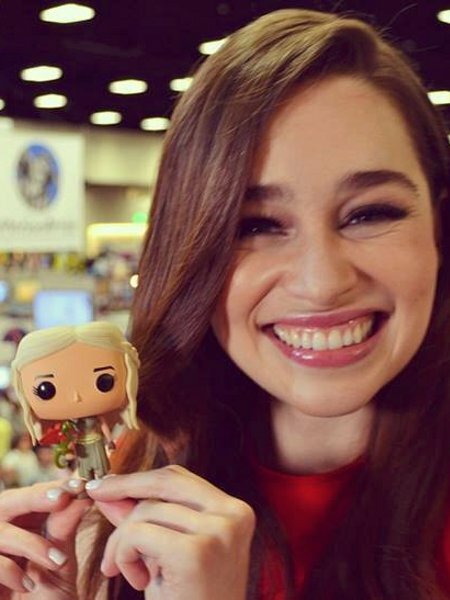 This figure portrays Daenerys at the beginning of season 2. After the death of Khal Drogo, she manages to hatch the dragon eggs that were offered to her as a wedding gift and that everybody thought were just decorative. So she finds herself with three young dragons to take care of as she and her people are lost in the desert. On this figure, you can see that Daenerys has adopted the Dothraki fashion with her leather pants and boots as well as a very light top and skirt adapted to the heat of the desert. This figure is quite well detailed and you can see the chains around her waist and her small leather gloves. 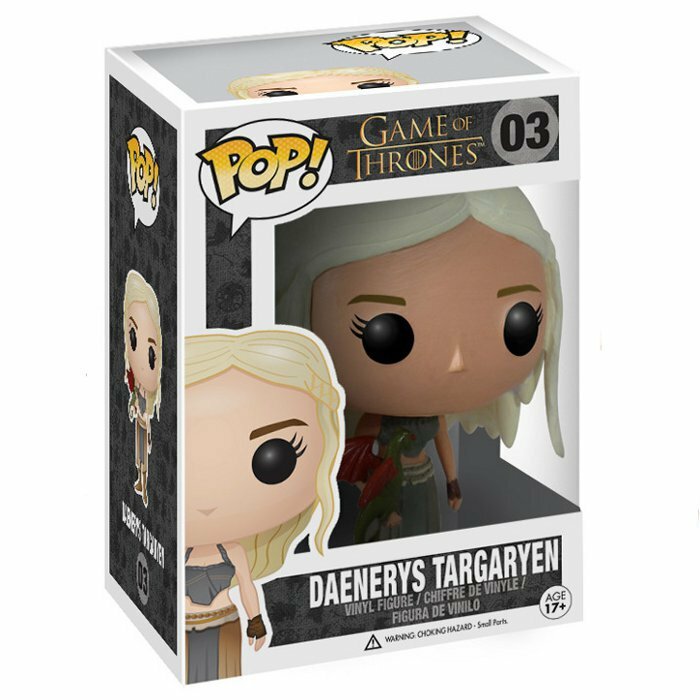 Her face is quite simple with the usual pop figures features but you can very well recognize her almost white and braided hair. On her left hand lays one of her dragons. There are different versions of this dragon but the most common one is green with red wings, which is probably a strange mix of Drogon and Rhaegal.